Ronny Alexander Cedeno… Married, wife's name is Aura; has two children: one son, Diego and one daughter, Barbara…Signed by: Hector Ortega. Opening Day roster...Batted .217 in 50 games before being released on 7/29...Signed by SD on 8/1 and was assigned to Lake Elsinore (AAA)...Played in 2 games with Lake Elsinore before having his contract selected on 8/6...Batted .364 (28-77) over a 23-game stretch, 8/19-9/17...Hit safely in 9 straight games, 8/19-31 (.333)...Played for Aragua in the Venezuelan Winter League (.301, .399 OBP, 14 RBI). Played in 78 games at New York (NL) despite a season with two injuries placing him on the 15-day disabled list twice: first with a left intercostal strain (4/23-5/11) and again (5/30-6/22) with a strained left calf. Batted .259 (43-166), his highest average since 2008 and finished with a career-best .741 OPS. Drove in a career high-tying five runs at San Francisco (8/2). Hit .300 (6-20) as a pinch hitter with two home runs...hit his first pinch-hit home run of the season at San Diego (8/5) off Jason Marquis and his second vs.Atlanta (9/8) off Kris Medlen. Had a season-best three hits vs.Washington (4/10) and again at San Francisco (8/2)...April 10 was his first start of the season...played third base and finished with a double and an RBI. Hit a three-run home run vs. Cincinnati(5/17)...It was his first home run and most RBI since May 28, 2011. Hit in a season-best five consecutive games, May 19-23...batted .421 (8-19) during that run. Hit leadoff on 5/24 vs.San Diego, his first time at the top of the order since 5/27/10. Was Pittsburgh's Opening Day starter at shortstop for the second straight year...Made 125 appearances (118 starts) at shortstop and ranked fourth in the National League with a career-high .978fielding percentage...Went 45 consecutive games without making an error from April 16-June 9...Made his lone start and appearance at second base, May 11at Los Angeles...It was his first game there since June 24, 2009...Established a career-high with 30 walks, which included a team-highseven intentional walks...Connected off Yovani Gallardo for his first home run of the seasonon May 13 at Milwaukee...In May, he hit .286 (24-84) in 26 games...Batted .271 (23-85) in 27 games in June and .290 (27-93) in 26 gamesin August...Had a season-high 11-game hitting streak from June 19-July 22(17-37, .459)...Placed on the seven-day Disabled List with a concussion, July2...Transferred to the 15-Day DL on July 16 and was reinstated onJuly 22...Had 24 games with two hits and one, three-hit game, August 23 vs.Milwaukee...Hit .267 during a four-game rehabilitation assignment withIndianapolis (AAA) of the Pacific Coast League. Spent entire season with Pittsburgh and made a career-high 132 starts at shortstop...Ranked sixth in the N.L.with 136 games played at short and tied for sixth among league shortstops with 39 extra-base hits...Finished season with a sevengamehitting streak and batted .285 (65-for-228) in 67 games after the All-Star break...Was Pittsburgh's Opening Day starter atshortstop and went 2-for-4 with an RBI...Delivered first career walkoff hit (single) in the 10th inning of Pirates 4-3 win vs. Los Angeleson 4/7...Hit first home run on 4/17 vs. Cincinnati...Hit safely in eight of his first10 games thru 4/17, going 13-for-38 (.342) with five multi-hit contests...Went3-for-41 (.073) in his next 12 games thru 5/2, dropping average to.203...Connected off Trevor Hoffman for second home run on 4/27 atMilwaukee; the blast tied the score in the 9th inning...Went hitless in his next14 at bats after the homer...Was leading N.L. shortstops in fielding percentage(.990) when he made his second error on 5/7 vs. St. Louis...Was successful ineach of his first four stolen base attempts before being caught stealing for thefirst time on 5/11...Reached base safely in 19 straight games from 5/8-29...Appeared in the leadoff spot for the only time on 5/27 at Cincinnati andwent 2-for-4 with a walk...Did not produce a multi-hit game during the monthof June and went 7-for-58 (.121) with one RBI in 18 games during themonth...Tallied an RBI as a pinch hitter on 7/3 vs. Philadelphia; his only RBIin 19 games between 6/11 and 7/16...Tied career high (second time) with fourhits (three doubles) on 7/18 vs. Houston...Went 16-for-35 (.457) over a ninegamestretch from 7/17-25, raising average from .226 to .255...Hit .324 with 10 doubles in 21 games in July...Delivered secondwalkoff hit (single) on 9/17 vs. Arizona...Received just two walks in his last 33 games and 124 plate appearances...Committed 18errors while playing shortstop (nine fielding/nine throwing); made nine of the errors in the final month of the season including sixin his last eight games...Ranked third on the club in stolen bases behind Andrew McCutchen (33) and Jose Tabata (19)...Participatedin the Venezuelan Winter League and batted .261(36-for-138) with four home runs and 20 RBI in 37 games with Aragua. Hit .258 with five home runs and 21 RBI in 46games with the Pirates and .208 with 10 home runs and 38 RBI in 105combined games between Seattle and Pittsburgh...Established career high inhome runs...Began season with Seattle...Hit safely in his first two games, butwent 4-for-26 (.154) overall during the month of April...Hit first home run withMariners while starting at second base on 4/19 vs. Detroit...Collected three hitsand knocked in a run on 5/17 vs. Boston...Hit .104 (5-for-48) in 18 gamesduring the month of June...Made 29 straight starts at shortstop from 6/25 thru7/28...Knocked in nine of his 16 runs in final 25 games with Seattle...Went 11-for-28 (.393) while hitting safely in eight straight games from 7/10-21...Wenthitless in final 26 at bats with Mariners...Made 40 appearances (39 starts) atshortstop, 13 appearances (eight starts) at second base, seven appearances(four starts) in left field and two appearances (two starts) at third base whileplaying with Seattle...Was acquired by Pittsburgh as part of a seven-player tradeon 7/29...Was tied for the American League lead in sacrifice bunts (nine) at the time of the deal...Made first start with Pirates on 7/31 and went1-for-4...Hit safely in first three starts and in 10 of his first 11 with Pittsburgh thru 8/11 (14-for-42, .333)...Connected off Collin Balester for firsthomer with Bucs on 8/2 vs. Washington...Appeared in leadoff spot of the batting order on 8/5 vs. Arizona and went 1-for-4; was his first start inthe leadoff spot since 5/11/06...Hit safely in seven straight games from 8/4-11...Cracked second home run on 8/8 vs. St. Louis...Made first offour errors (all fielding) with Pirates in 15th game on 8/15 at Chicago...Went 1-for-13 in four games between 8/12-15 before going 2-for-4 witha homer on 8/17 vs. Milwaukee...Suffered a fracture to the tip of his right pinky finger while making play at shortstop on 8/21 vs. Cincinnatiand did not start next seven games thru 8/29...Went 3-for-4 with two doubles as a pinch hitter before returning to starting lineup on 8/30 atMilwaukee...Went 2-for-2 with a triple and two runs scored on 8/31 at Cincinnati (game one)...Had three hits, including fifth homer with Pirates,and three RBI on 9/9 vs. Chicago...Hit safely in seven straight games from 9/8-15 (10-for-26, .385)...Went 3-for-26 in his next seven games thru9/23...Missed final 11 games with a hamstring strain...Hit .400 (14-for-35) while batting seventh in the lineup for the Pirates...Made a total of 42starts at shortstop for Pittsburgh and went 3-for-4 as a pinch hitter...Hit .300 (45-for-150) with 10 home runs and 20 RBI in 40 games with Araguaduring the Venezuelan Winter League. Began season batting .378 in April (17x45) with 16 RBI...Played in 99 games with Chicago (NL); 43 games at second base (31 GS), 27 at shortstop (20 GS), 7 games at third base, one in center field and one in left field...Did not commit an error in 47 consecutive games in the field from May 27-Sept. 24 (141 TC)...18 of 28 RBI came with two outs...Hit .556 (5x9) with a grand slam and 14 RBI with the bases loaded...Batted .282 (29x103) off right-handed pitching; .257 (29x113) off left-handed pitching...Hit .333 (8x24) with runners in scoring position and two outs...Season-high 5-game hit streak three times, April 19-23, June 26-30 and July 24-30...Reached base safely in a season-high 7 consecutive games, April 26-May 6...Tabbed a bases clearing, 3-run double April 7 at Pittsburgh (first start of the season)...Hit his first career grand slam April 22 off the Mets' Jorge Sosa...added a double to cap a 2-for-5 effort with a career-high 5 RBI...Hit .389 (7x18) with 2 doubles, a grand slam, 6 runs scored and 10 RBI during April 15-22 homestand...had at least one RBI in 4 consecutive games (April 19-22)...Set a season-high with 3 hits April 26 at Washington...In April batted .378 (17x45) with 6 doubles, a home run, and 16 RBI in 19 games...Hit .329 (23x70) in 28 games from April 19-May 29 and .275 (22x80) in his final 39 games from July 24 thru the end of the season...Played in his 300th career game August 6 vs. Houston...Game-winning hit August 27 in Pittsburgh with a seventh-inning groundout. Split season between Chicago and Iowa, breaking camp with the Major League club...hit .097 (3x31) in the first half of the season, then posted a .279 (12x43) average in the second half...4 of his 15 hits were home runs, and 7 of 15 went for extra bases...appeared in 15 games at shortstop, 8 at second base and 4 at third base...hit .292 (7x24) with two outs, including .308 (4x13) with runners in scoring position and two outs...hit .391 (9x23) in September...hit his first career pinch-hit home run April 6 off Milwaukee's Claudio Vargas...snapped an 0-for-18 slump with an RBI-double in his first at-bat April 21 vs. St. Louis and added his second homer of the season in the seventh inning, a solo shot off Brad Thompson...optioned to Iowa after May 5 game vs. Washington...responded to the move by batting .300 (18x60) with a .400 on-base percentage in 19 May contests with Iowa...batted .446 (45x101) with 8 homers, 20 RBI and a .509 on-base percentage in 25 games in June to earn Pacific Coast League Player of the Month honors...was sporting a .360 batting average (89x247) with 13 doubles, 10 home runs and 32 RBI in 65 games for the I-Cubs when he was recalled by Chicago on July 24...batted .150 (3x20) with 2 RBI in 11 games with the big league club from July 24-Aug. 17 before he was optioned back to Iowa...recalled Sept. 1....took part in a 1-6-3 triple play June 26 against Albuquerque. Cedeno began the year as the starting shortstop, and hit .308 in April. But he was switched to second when the Cubs acquired Cesar Izturis from the Dodgers on July 31. Cedeno made 14 starts at second, and was switched back to short when Izturis injured his hamstring. An aggressive player, Cedeno made 25 errors in his first full season. He had a 13-game hitting streak that ended Sept. 20, and hit .348 during the stretch. He totaled 31 multi-hit games for the season. Ronny made his major league debut on April 23 against Pittsburgh, pinch-running for Ben Grieve in the ninthinning ... collected both his first major league hit and RBI in the same at-bat on April 26 against Cincinnati, hitting anRBI-single off Danny Graves in the ninth inning ... hit the first home run of his big league career May 5 at Milwaukee, a solo shot off Gary Glover ... notched his first career 3-hit game September 8 at San Francisco - had three singles and scored a run in the 5-3 Cub victory ... missed nearly three weeks of the season after San Francisco's Brad Hennessey hit him with a pitch on the left hand on September 10 ... his lone appearance after that point was as a pinch-runner on September 30 ... spent the remainder of the season at Iowa (AAA) - was named the Iowa Cubs' Newcomer of the Year, batting .355 in 65 games ... recorded hits in his first six Triple-A at-bats ... homered in back-to-back games April 7-8 at Albuquerque ... drove in a season-high 5 runs June 23 against Oklahoma, hitting a pair of doubles, a triple and a home run ... had 26 multi-hit games, including three 4-hit games ... hit a pair of solo homers May 26 against Sacramento ... named the third-best prospect in the Cubs' organization by Baseball America following the season. Ronny appeared in 116 games for West Tenn (AA), where he hit .279 and achieved career highs in hits (107), home runs (6) and RBI (48)...selected as a midseason Southern League all-star...went 3-for-5 with a pair of homers and drove in four runs June 19 against Carolina...batted .325 in 59 games at home. Ronny spent the season at Daytona (A), where he hit .211 in 107 Florida State League games with 36 RBI and acareer-high 19 stolen bases. on April 7 vs. Palm Beach, the infielder drove in 4 runs- tying his career high. Ronny saw action at second base and shortstop, appearing in 127 total games for Lansing (A) and Boise (A) ... combined to steal 22 bases and score 61 runs ... was 4-for-5 June 13 against Quad City ... hit his first professional grand slam August 1 at South Bend. Played in 69 total games for Lansing (A) and Mesa (R), hitting .317 with 17 stolen bases and 19 RBI ... led the Arizona League with a .350 batting average in 52 games ... was second in the league in hits, third in stolen bases (17) and fourth in total bases (96) ... was named the league's fifth-best prospect by Baseball America. Began his professional career with the Cubs' Venezuelan (Rookie) team, where he hit .287 in 51 games. October 10, 2017 3B Ronny Cedeno assigned to Navegantes del Magallanes. April 21, 2017 Olmecas de Tabasco released 3B Ronny Cedeno. April 18, 2017 Olmecas de Tabasco signed free agent 3B Ronny Cedeno. January 30, 2017 3B Ronny Cedeno assigned to Venezuela. September 18, 2015 3B Ronny Cedeno assigned to Navegantes del Magallanes. July 22, 2015 Guerreros de Oaxaca activated 3B Ronny Cedeno. July 16, 2015 Guerreros de Oaxaca placed 3B Ronny Cedeno on the reserve list. July 15, 2015 3B Ronny Cedeno assigned to Guerreros de Oaxaca. June 29, 2015 Sacramento River Cats released 2B Ronny Cedeno. June 29, 2015 Sacramento River Cats activated 2B Ronny Cedeno from the 7-day disabled list. June 15, 2015 Sacramento River Cats placed 2B Ronny Cedeno on the 7-day disabled list. February 24, 2015 2B Ronny Cedeno assigned to Sacramento River Cats. February 23, 2015 San Francisco Giants signed free agent 2B Ronny Cedeno to a minor league contract. October 9, 2014 2B Ronny Cedeno elected free agency. October 7, 2014 2B Ronny Cedeno assigned to Navegantes del Magallanes. September 20, 2014 Reno Aces activated 2B Ronny Cedeno from the temporarily inactive list. September 3, 2014 Reno Aces placed 2B Ronny Cedeno on the temporarily inactive list. June 29, 2014 Lehigh Valley IronPigs traded 2B Ronny Cedeno to Reno Aces for C Raywilly Gomez. June 28, 2014 Philadelphia Phillies sent SS Ronny Cedeno outright to Lehigh Valley IronPigs. June 6, 2014 Philadelphia Phillies selected the contract of SS Ronny Cedeno from Lehigh Valley IronPigs. May 1, 2014 Lehigh Valley IronPigs activated SS Ronny Cedeno from the temporarily inactive list. April 20, 2014 Lehigh Valley IronPigs placed SS Ronny Cedeno on the temporarily inactive list. April 3, 2014 SS Ronny Cedeno assigned to Lehigh Valley IronPigs. April 2, 2014 Philadelphia Phillies signed free agent SS Ronny Cedeno to a minor league contract. March 24, 2014 Philadelphia Phillies released SS Ronny Cedeno. January 22, 2014 Philadelphia Phillies signed free agent SS Ronny Cedeno to a minor league contract and invited him to spring training. December 31, 2013 SS Ronny Cedeno assigned to Navegantes del Magallanes. October 10, 2013 SS Ronny Cedeno assigned to Tigres de Aragua. August 6, 2013 San Diego Padres selected the contract of SS Ronny Cedeno from Lake Elsinore Storm. August 3, 2013 Ronny Cedeno assigned to Lake Elsinore Storm. August 1, 2013 San Diego Padres signed free agent SS Ronny Cedeno to a minor league contract. July 27, 2013 Houston Astros released SS Ronny Cedeno. July 22, 2013 Houston Astros designated SS Ronny Cedeno for assignment. March 24, 2013 Houston Astros signed free agent SS Ronny Cedeno. March 19, 2013 St. Louis Cardinals released SS Ronny Cedeno. 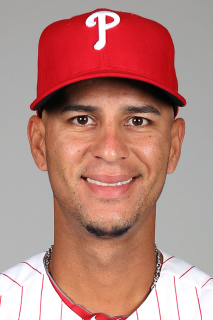 January 28, 2013 St. Louis Cardinals signed free agent SS Ronny Cedeno. November 3, 2012 SS Ronny Cedeno elected free agency. June 22, 2012 New York Mets activated SS Ronny Cedeno from the 15-day disabled list. June 15, 2012 sent SS Ronny Cedeno on a rehab assignment to Buffalo Bisons. May 30, 2012 New York Mets placed SS Ronny Cedeno on the 15-day disabled list retroactive to May 27, 2012. Strained left calf. May 11, 2012 New York Mets activated SS Ronny Cedeno from the 15-day disabled list. May 10, 2012 sent SS Ronny Cedeno on a rehab assignment to St. Lucie Mets. April 23, 2012 New York Mets placed SS Ronny Cedeno on the 15-day disabled list retroactive to April 21, 2012. Left intercostal strain. January 13, 2012 New York Mets signed free agent SS Ronny Cedeno. October 31, 2011 SS Ronny Cedeno elected free agency. July 22, 2011 Pittsburgh Pirates activated SS Ronny Cedeno from the 15-day disabled list. July 17, 2011 sent SS Ronny Cedeno on a rehab assignment to Indianapolis Indians. July 16, 2011 Pittsburgh Pirates placed SS Ronny Cedeno on the 15-day disabled list. July 2, 2011 Pittsburgh Pirates placed SS Ronny Cedeno on the 7-day disabled list. Concussion. October 4, 2010 Tigres de Aragua signed Ronny Cedeno. December 27, 2009 SS Ronny Cedeno loaned to Navegantes del Magallanes from Tigres de Aragua. October 8, 2009 Ronny Cedeno assigned to Tigres de Aragua. July 29, 2009 Seattle Mariners Traded 1B Jeff Clement and SS Ronny Cedeno to Pittsburgh Pirates; Clinton LumberKings Traded RHP Aaron Pribanic and RHP Brett Lorin to West Virginia Power; High Desert Mavericks Traded RHP Nate Adcock to Lynchburg Hillcats and Pittsburgh Pirates Traded RHP Ian Snell and SS Jack Wilson to Seattle Mariners.